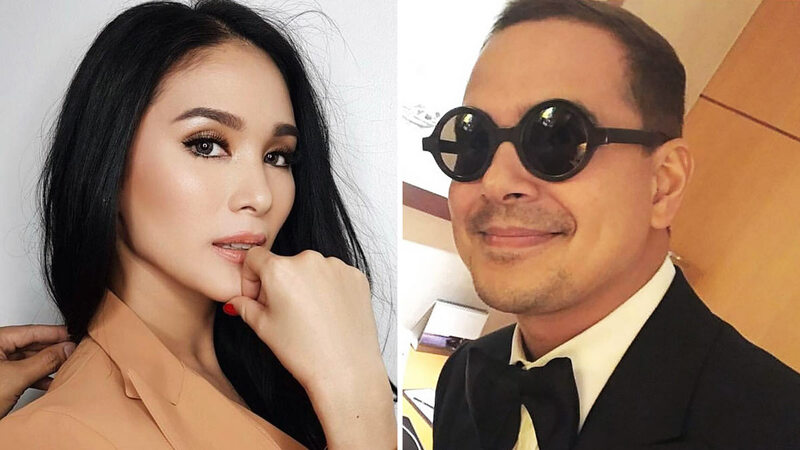 Heart Evangelista's love life has been making headlines ever since she started showbiz—even until now that she's happily married to Senator Chiz Escudero. In an exclusive interview with PEP.ph, the My Korean Jagiya star recently confirmed a decade-long rumor that she and John Lloyd Cruz had a short-lived romance. "It was just one of those—I was in between," she said. Heart, however, failed to disclose when exactly they dated but gave a clue that she was fresh out of a breakup: "Like, I just broke up with someone at that time and I was gonna meet somebody also. So, it was very brief." "He's a really, really good guy," she went on to say about John Lloyd. Heart also praised him for being in his new rumored relationship with Ellen Adarna: "I'm really happy for him. Actually, I think they're bagay if they're together. I think okay sila together." PEP.ph dug deeper about the issue and revealed that a story about the Heart-John Lloyd fling was published on YES! magazine in July 2010. They apparently dated for a few months before Heart got involved with Jericho Rosales in 2005.